I love baking. I used to bake quite a lot, however these days I just don’t ever seem to find the time to bake anything. 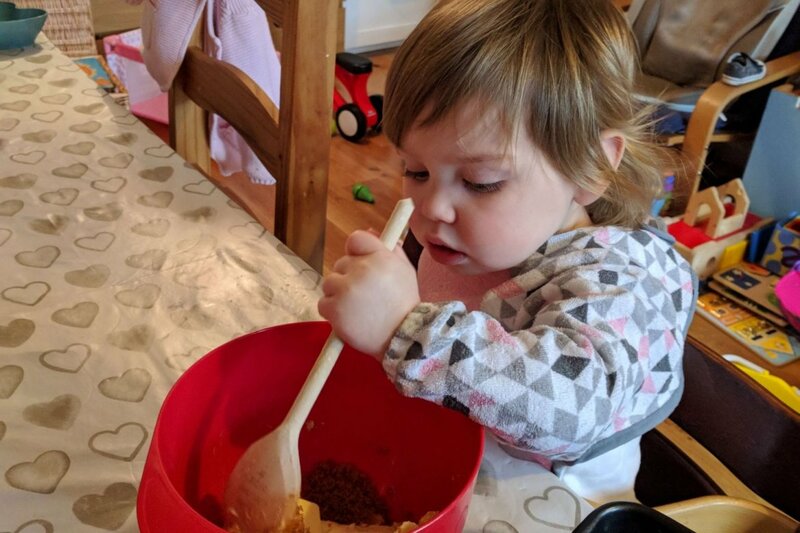 I’d love for Isla to develop my love of baking too. For Christmas my brother and his girlfriend bought Isla The Tickle Fingers Toddler Cookbook , and a lovely personalised wooden baking set. I’ve been so excited to try a few things out from the book so that Isla and I can start baking together. Isla is always so keen to help stir when we are cooking dinner, and if it is safe to do so then we allow her to under very close supervision. 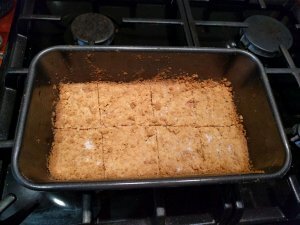 Having not been shopping in a while, I decided that the easiest recipe for us to try, that we had all the ingredients for, was shortbread. 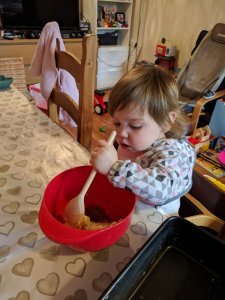 The cookbook gives you detailed advise on how best to prepare for cooking with your little one, as well as explaining how each step helps your child’s development. Isla unfortunately was not too sure on her first attempt at baking. She got bored quite quickly, and just wanted to eat it straight away before it was cooked! She did however love the shortbread once it was cooked. And ate a fair amount of it! 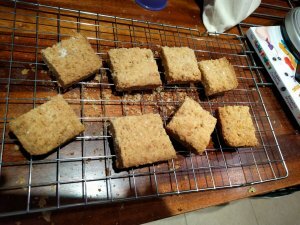 It was pretty crumbly though, and so a lot of it ended up all over my living room floor, all over the sofas, in the toy box….it was a mess! But we had fun, and that is all that matters really. *Please note, this post contains affiliate links. 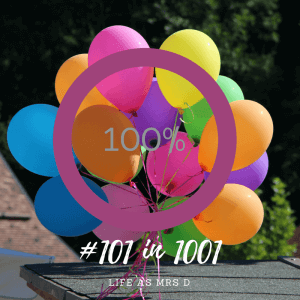 Using these links may provide Life As Mrs D a small amount of money per purchase, however, this will not cost you anything extra.